Note: Some of this information is sourced from the U.S. Army FRG Leader's handbook. For other branches, please refer to their respective guidelines. You're a service member's spouse who cares very much about the families' support and well-being, and want to lead the FRG. You stepped into the role willingly. You're the commanding officer's spouse. You stepped into the role with feelings of obligation. You're a service member's spouse who was recognized by the commanding officer or by other FRG members for your warmth, friendliness, and organizational traits. You were voted-in or selected by the commanding officer to become the FRGL. You stepped into the role with mixed feelings of obligation and wanting to help the families. You're a service member of the unit you're leading. You stepped into the role with mixed feelings of obligation and wanting to help the families. You're an extended family member or another member of the community who cares very much about our service members and their families, and want to lead the organization. You also stepped into the role willingly. If you're the commanding officer's spouse or were voted/selected into the position, I venture to say that you feel obligated to step up, but have no idea where to begin. Even if you're a seasoned spouse/service member, having attended dozens of meetings over the years, you may still not know where to start as a first-time FRG Leader. 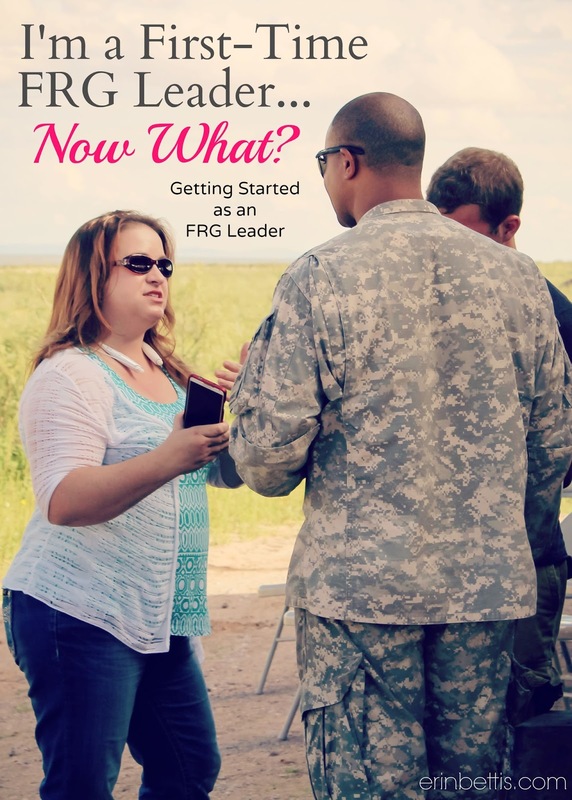 Here, I've broken down basic, generalized steps to help get you started as an FRG Leader. Let me start by telling you that if you're feeling obligatory, and/or lack the time to lead the FRG, you do not have to be the FRG Leader. I've met many leaders whose personality doesn't bode well as an effective FRG Leader. For a list of six personality traits for effective leadership, refer to this article at Military.com. It's ok to say no if you feel this role doesn't fit your personality type. If you want to help the FRG without leading, consider becoming a Key Caller, treasurer, secretary, or newsletter writer. Those roles are valuable building blocks toward an effective FRG, and your time in another role will be equally helpful and gratifying. It is immensely rewarding to give back to the military community, and any role you choose within the FRG will impact our service members and their families in a very big way. If you take nothing away from this article but one thing, I hope to impart on you this: Your role in the FRG is what you make of it. You can be as active or inactive as you wish. While the most effective FRG Leaders remain vigilantly active in their FRGs by leading meetings, hosting fundraisers, and maintaining constant communication with every member of her FRG, you still have the ability to do what works best for you, your personality, your volunteers, and FRG members. But you have to start somewhere, and these steps will steer you onto the right path. 1.) Take the classroom FRG Leader training. This is an absolute must even if you're on the fence about whether or not to fully lead the FRG. This class gives you invaluable resources such as a CD Rom with all (or most) of the official documents that are required by command. The classroom setting is also the best way to get immediate answers to questions from tenured FRG instructors without having to research the answers online. Classroom training is not as bad as it sounds. If you have young children, some installations will cover the cost of childcare at CYS (Child and Youth Services). Call your base MWR (Morale, Welfare, and Recognition) - or the branch equivalent - to find the phone number or website to schedule the free training. At the end of the training, you should receive a certificate of completion that must be included in your FRG Continuity Book*. The best part is that this certification never expires and can be used for decades as proof of completing the training. * For what to include in your FRG Continuity Book, click here. 2.) Take the online FRG Leader training. Yep, more training. If your branch supports it, I highly suggest taking the online version in addition to the classroom training. In my experience, the online training offers a greater depth of knowledge on how to be a successful leader, manager, and volunteer. 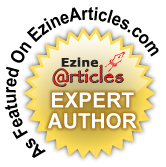 I recommend taking this training in addition to the classroom training because the online version covers topics that are not included in the classroom training, and visa versa. This course delves deeper into how to manage your volunteers and how to adequately handle different personality types during meetings. The greatest aspect of this instruction is that you can work at your own pace by saving your progress, and you also receive certification that stays with you through your PCS moves. 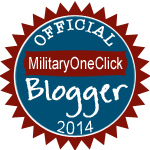 For Army FRG Leaders, check out My Army OneSource for the online training. 3.) Sit down with the commander to discuss the plan for the FRG's growth and to establish the FRG mission statement. For some branches, this is the commander's official organization, and her/his FRG will be reviewed on her/his OER (Officer Evaluation Report.) Therefore, its best to sit down with the commander to discuss ideas and plans because those plans may differ from what you have in mind. Usually, the commander will say, "Have at it," and you'll be able to do what you want. For other branches/units, the FRG is not an official organization, but you can still start your FRG. And in this case, you'll have free reign to lead the group as you wish. The mission statement that you come up with in this early stage will be the foundation for every decision you make on behalf of the FRG. If you have writer's block when establishing your own mission statement and goals, feel free to use mine. No one will know that you copied these from another FRG, and you'll look like you have your head on straight. But please remember to adapt the wording according to branch. If you use the term Soldiers to describe your group of Airmen, Seamen, or Marines, then you'll look like you definitely don't have your head on straight. 4.) Start recruiting your team of volunteers. The best way to start recruiting is to facilitate your first meeting or host a casual social to get your spouses together. This does two things: The spouses put a name to a face and thus builds trust in you and your mission. It's also a quick way to give you access to several spouses at once. Personally, I hosted my first meeting at a large rental hall that had a full-size indoor playground for all the kids to play while the adults did the meet and greet. You can recreate that atmosphere by having your social at a local park. Preparing and facilitating your first FRG meeting is a comprehensive topic that I'll go into detail later this month. If you're interested in being the first to read about running an FRG meeting, or about military life in general, please sign-up for email alerts through the Follow by Email box located in the right sidebar. While you're shaking hands and kissing babies, pass out flyers of your open volunteer positions. Since I had power-point capability at my first meeting, I simply had all of the open volunteer positions up on the screen and then if spouses wanted to get more info., they grabbed a flyer on their way out. Also, make sure you have several copies of all the necessary documents (that you have already gathered off the CD Rom from your classroom training) with you for your new volunteers to fill out on the spot. It's a hassle to go back and get a forgotten signature. First impressions are important, so make it a good one. Chances are that you'll land yourself at least one new volunteer at your first meeting. Additionally, if you meet a spouse who you really connect with, or better yet, has some interest in volunteering but isn't ready to commit to a position, grab her contact info. and connect with her a couple of days later. Maybe go into more detail in email and ask her what she's good at in order to help place her in a position that she'll thrive in. The online FRG Leader training does a fantastic job at teaching you how to make the volunteer experience an amazing opportunity for them. They are willing to devote their time and energy to the FRG in which you're leading, but this is their experience in which can be used on their professional resume. If you really get to know the strengths and weaknesses of each volunteer and place them in positions based on those skills, you'll have an all-star team. In my experience, Key Callers are the most valuable volunteers you'll have. Try to fill those positions first. I told my 4 Key Callers time and time again, I would not be able to do my job without you. The reason why filling your Key Caller slots is so important is because they are the front lines of your FRG. Since my objective was to reach every single spouse, I had to have my Key Callers in place so that I could hear from everyone in the 140+ person FRG. I placed one Key Caller in charge of one platoon. Each platoon had around 15-20 spouses. If you're lucky, you'll have even more Key Callers and the number of spouses that they'll be responsible for will be fewer, which makes contacting a little easier; each Key Caller is in charge of contacting the spouses. In today's world, most people choose to be contacted through email or text, but they're still called Key Callers even though they may not be doing much calling. If you're not successful in signing on new volunteers at your first FRG meeting or social, don't get discouraged. Just as it took you time to think about how you were going to fit volunteering into your already busy schedule, they need time to think it though, too. Remain active in your recruiting by continuing to make it known that you're looking for volunteers. For me, one of the most effective ways of recruiting was to simply ask. I had 7 volunteers, and I had to be proactive by seeking out 6 of them by asking them to volunteer. If I met a spouse who I knew would fit perfectly in a particular role in our FRG, I would send her an email with the position description for her to look over and help her decide if she would like to join the team. The worst thing that can happen from blatantly asking is that she says no. The best thing that can happen is that you get a person whose personality traits perfectly fit the position, and then you're well on your way to having an all-star team. Once you've taken the necessary training, lead your first meeting, and recruited your first group of volunteers, you officially have the ball rolling as a first-time FRG Leader. Pour yourself a glass of wine and celebrate the hard work you've already put in. You're in it and there's no turning back now. But the real hard work is still ahead. So where do you go from here? That answer lies in the FRG mission statement you developed earlier. For example, to start crossing goals off your list, you may want to sit down with the commander and your brand new volunteers to discuss what activities and events would work well for the entire FRG. You may decide to plan a fundraiser to off-set the cost of an upcoming ball. Perhaps you will want to start a unit/company newsletter to provide families with base and community resources. Or maybe you'll want to organize a Family Day at a local bowling alley to promote service member and family cohesion and to boost morale. If you have deployed service members, maybe you'll want to organize weekly spouse and children activities to help reduce family stress. The possibilities are nearly limitless to how you carry out your mission statement. To connect with a wonderful group of FRG Leaders, I suggest adding yourself to the FRG Leaders Facebook page. All branches are welcome, and tenured and new leaders are readily available to answer your questions. The best part about the group is that there are dozens of shared files that you can use to empower you and your members. If your installation doesn't support classroom training or your branch doesn't offer online training, you may find what you're looking for by asking the commander or the FRG Leaders Facebook group. As a first-time FRG Leader, what are you most afraid of? Share your comments below. Thank you I have felt so lost, this has helped me just by reading it! I am a new army wife and my husband a new company commander. This whole experience is new to me. As his wife I wanted to be involved with the army community and help as much as possible. His is a small reserve unit that did not have an FRG program set up and I was not even aware of what an FRG was or that it even existed. His new battalion commander suggested we start an FRG and his wife gave me a brief summary of what it was and we are in process of getting this started. Although she has been an amazing help she seems a little busy and don't hear back very often. I wanted to take a more proactive approach and start doing research on my own and found your blog. The class training was mentioned to me by the wife but she has yet to get back to me on dates and how to go about registering. I'm not even sure where to look. Thank you so much for this. I am still a little lost but we'll get there. Thank you for this post! It's extremely helpful! I've been a military spouse for 6 years and this is my first time ever getting involved with the FRG. What I fear most is an inactive group that only brings drama, which is why I was never involved before now. However, I'm hopeful and very excited. I really want to help the families around me. I'm very nervous. I'm a new Army wife and I hold a FRGL role. Our first meeting of the new year is soon via phone conference and I'm a nervous wreck. This has helped a lot but I'm still very nervous. This is extremely helpful. I am new to the FRG and taking on the role of the leader. My biggest fear is failing by not providing the families what they need. I have been searching for the best place to start and this has given me that! Thank you! !